Vistara has announced a 24 hours flash sale, offering upto 75% off. I didn't find it extremely attractive, as Chennai-Kolkata, Chennai-Delhi, Chennai-Portblair return were all around INR 6500-7000+, which wasn't too tempting and felt standard. 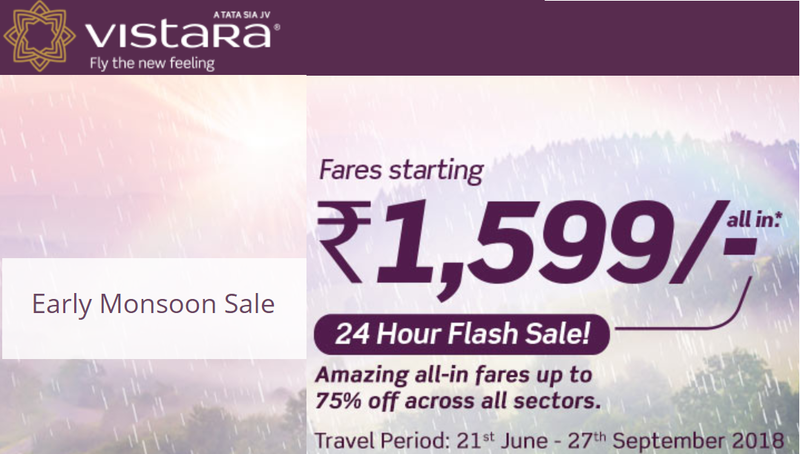 Only short haul flights like Chennai-Kochi were cheaper at around INR 3000 per person, which is a decent price on Vistara, considering it is full service airline. But the current flash sale is expensive than what I had seen in Feb- could book Chennai- Kochi for Rs 2500 approx back then.